Summer Rec 2019 is Hiring! The Town Needs Your Help! Towns provide many functions. Some of them are more visible to residents than others. Some are required and others are more discretionary. Some of the functions are provided by volunteers. 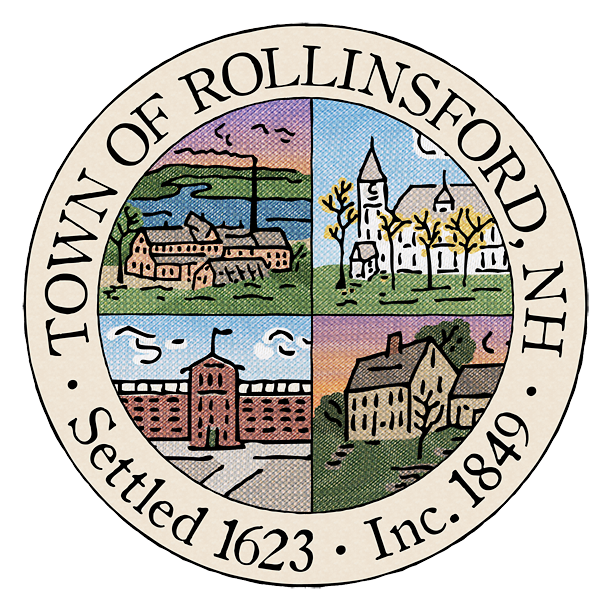 Rollinsford needs more volunteers. Many of the appointments to the boards and committees are expiring in March. We will be voting to fill some of them. Others are appointed by the Select Board right after Town Meeting. Thank you to all of the people who dedicated their time in service to our community this past year. The following are boards and committees on which volunteers serve. Please read the brief excerpts about them and consider offering your name to be considered for appointment. Each has its own level of commitment which often is not very much time per month. Come meet more of your neighbors! Meets the first Tuesday of every month at 7:00pm. This is an essential function we must offer to property owners wishing to subdivide or develop their property, start or expand a business or change the use of a property, for example. There is typically no outside work required and meetings are typically not more than two hours. Members should become familiar with the Zoning Ordinance and other planning regulations. There are two vacancies for full-memberships and one alternate position open. Meets at the call of the Chairperson when there is a case to be heard (typically 3-5 times per year). This is an essential function we must offer to property owners who feel aggrieved by a land use decision made by the Planning Board, Town or planning regulations. It is a quasi-judicial body. The group manages the conservation land along the Salmon Falls River known as Scoutland, the area beyond the community garden on Foundry Street, and discusses topics important to our natural environment. Some development requires a review by the Conservation Commission and their opinions can inform planning regulations. This committee worked hard for two years to determine a location for the police department. It was their recommendation to build a new facility to include the town office on Silver Street. This option was not put on the ballot this year. The Select Board will create a new charge for this group to address questions about the condition of the town hall and cost to renovate, locations for a potential police station and other ways we could potentially move forward to meet the needs of the Police Department. These volunteers are the super heroes who recreated the summer recreation program which would otherwise have been discontinued just a few years ago. Recreation could not function without this group. They also manage the youth basketball program and are exploring options for senior programming. This group only meets when there is a topic for discussion. They meet to discuss matters of public safety including, but not limited to traffic concerns. They make recommendations to the Select Board regarding roadways, when appropriate. This committee is necessary for keeping the Town compliant with our MS-4 permit which allows us to discharge stormwaterinto the Salmon Falls River. This is a federal permit which obligates the Town to engage in public outreach and public engagement regarding public activities which pollute waterways as well as water testing and data compilation. There are many ways in which the Town could save money with renewable energy. The specific charge of the committee has not yet been created but we know we could change street lights to LED’s or install solar panels on town buildings for example. The Select Board cannot make decisions without people presenting options and associated costs. We live in a small town with a lot of history. This group meets monthly to discuss topics of historical significance to Rollinsford and the Salmon Falls region. You don’t have to be an expert on local history to join, just interested in learning, sharing, and preserving the fascinating stories of our town. This group is flexible in making the most of each member’s strengths and interests and setting meetings to work for all members. They provide educational programs, history hikes (2 a year), and in 2019, plan to take on the first (modest!) restoration project, so handy people are especially welcome! The Recreation Committee will be meeting on Sunday, December 16, 2018 at 10:15am at the Black Bean Cafe. The Conservation Commission will be meeting Tuesday, December 18th at 6:30pm at the Rollinsford Public Library. The Historical Committee will be meeting Tuesday, December 18, 2018 at 7:00PM at the Town Hall. If you are looking for a family activity why not decorate your home and/or yard and send the family day committee your information, so we can judge your decorated home. There will be three prizes awarded 1st, 2nd and 3rd place. So, get your creative ideas ready and start decorating. Judging will be on Saturday, December 22nd at 6PM. We will post our winners with your permission on the Rollinsford town website. Send your details to Denise Knowles at family-day@comcast.netinclude your Name, Address and Telephone number before Wednesday, December 19th to be judged. Thank you to our 2018 supporters we could not have family day with fireworks and other events without them!